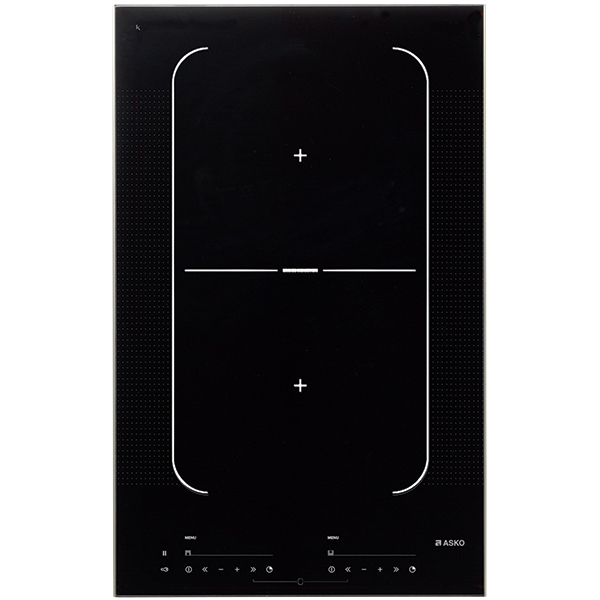 Asko HI1355G Kitchen Cooktop If speed and energy efficiency are top priorities for you, an electric induction cooktop is your best choice. These models warm up virtually immediately after turning on and the heat can be adjusted instantly to create the precise culinary results you seek. Because induction cooktops create heat using a magnetic field, the stovetop itself does not get hot, making it ultra safe and extremely easy to clean. The flat glass surface and bevelled edge provide a minimalistic, designer look that’s also highly practical. Spills can be wiped up in seconds.